Alain Galaski is director general of the European Brands Association. President Juncker promised at the beginning of his mandate in 2014 that the new Commission would be “big on big things and small on small things”. Anxious to bring Europe closer to its citizens, the Juncker and his team wanted the Commission to do less, but better, to stimulate the economy and protect its citizens. In light of the multiple threats Europe has been facing, from terrorist attacks to election meddling, the Commission focused these past months on better ways to protect its citizens. Today, it is unveiling its plan to take military defence into its own hands. This ambition also echoes French President Macron’s pledge for a “Europe that protects its citizens”. Indeed, European citizens more than ever need a European Union that protects them, not only from military threats or terrorist attacks, but also in their everyday life. When it comes to their health and safety, they continue to face a silent epidemic: counterfeiting. Today is World Anti-Counterfeiting Day, and it is worth recalling that 10 % of European consumers unknowingly buy counterfeited products, thereby unwittingly financing criminal organisations treating these illegal activities as a low-risk revenue stream. 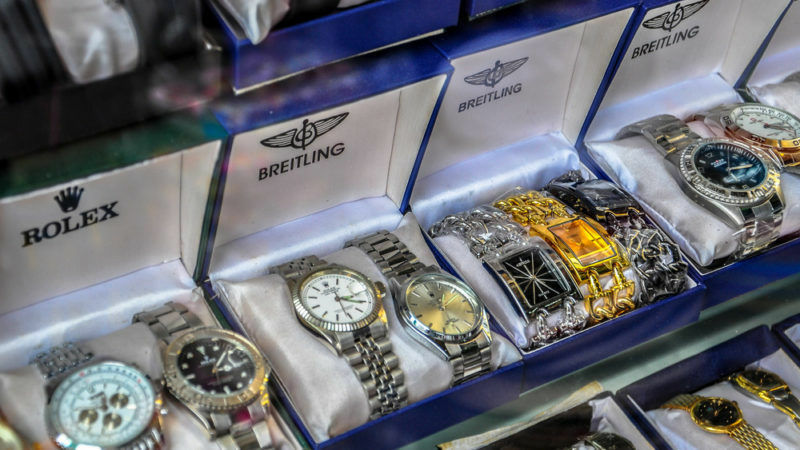 Counterfeiting is often viewed as a minor, petty crime that is collectively tolerated or even met with sympathy. Yet, this scourge threatens the safety of consumers, victims of a veritable boom in sales of fake toys, food products and medicine. Thanks to the take-off of e-Commerce, declining transportation costs, and the improving production capability of developing countries, this phenomenon is spreading fast. Counterfeiting is turning into the dark side of globalisation, a craft morphing into a truly globalised industry. Over the past ten years, global imports of counterfeited products have doubled in value to reach a total value of more than €400 billion. Unsurprisingly, this industry ignores worker protection rights and avoids taxation. To tackle this phenomenon, the Commission is not powerless. It simply needs to display leadership and the political willingness to dust off without delay the “IPRED” Directive on the enforcement of intellectual property rights. This legislation dates from 2004 and circumstances demand its urgent review. And in doing so, the Commission should seek to better protect citizens and our economy, which can only be achieved through the collaboration of all the businesses involved, including intermediaries. Let me be clear: this is not about punitive actions, sanctions, or measures which would interfere with the freedom of European consumers. Instead, we defend a simple principle of due diligence: an obligation for every stakeholder in the value chain to “act with due diligence by taking appropriate proactive measures to protect consumers and intellectual property rights from the promotion, commercialisation, and distribution of counterfeited products”. Existing voluntary measures simply do not go far enough. A European-wide due diligence requirement for every intermediary will reward those among them which are already committed to the fight against counterfeiting. This is an obligation of means, leaving to every involved player the freedom to choose how to implement it. Europe has been a real pioneer in the fight against climate change and for data protection. It should now lead the world in better protecting consumers’ health and safety. This would be an excellent opportunity to meet President Juncker’s commitment towards European citizens.